The Sergeant's Calming Collars really worked for our little furball. 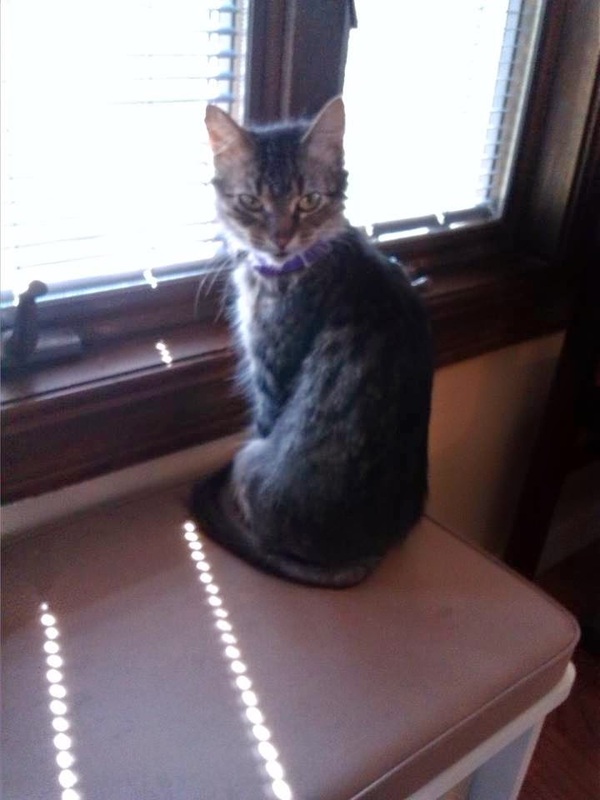 She is constantly scratching and rolling off tables and generally acting crazy, so when Mom it Forward contacted me about doing a compensated post for them I was excited! Sergeants Facebook page, Pet Health Central is also going to have a sweepstakes when they reach 500K followers. Hop over, because they are really close. Like Sergeant's on Facebook. Fluffy Bunny wearing Sergeant's Calming Collar. That's right, Fluffy Bunny! You might note, that our little kitty, Fluffy Bunny, isn't very fluffy. She had been scratching and chewing her fur off lately with a skin disorder or due to stress. It seems like she scratches and bites so hard that she leaves scabs and pulls her fur out. She also plays so wildly that she often scratches her eyes. In the beginning, I thought she had pink eye, but after watching her closely, I soon realized she was scratching her eyes. One minute, she is sitting calmly next to you and the next, she is rolling on a table and crashing to the floor. We fear, she will hit her head or hurt herself. Nope... she NEVER lands on her feet. 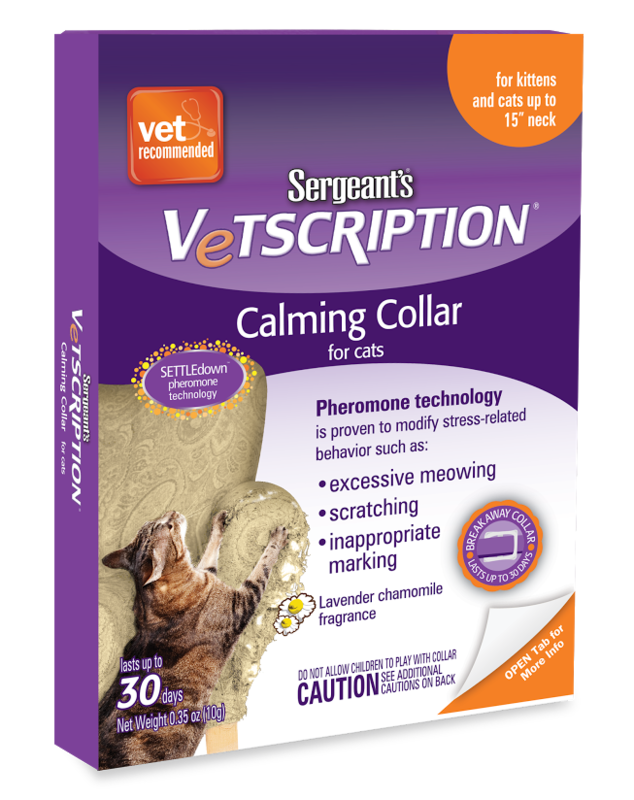 Sergeant's Calming Collar with Pheromone technology. She had a rough start to life and isn't fond of being in the house all of the time. She is also mean to the other cats. We have four that we claim and two feral cats on the property. She growls at them all, and they stand down. She is an interesting little soul. When I received the calming collars in the mail, I tore it open and placed it on Fluffy Bunny first! She immediately licked all of the powder pheromones off her collar. Apparently, this isn't anything to fret about. She shouldn't have, but it didn't cause any harm. The idea behind the collars is they release the pheromones a mother cat would have. This pheromone release helps calm a stressed cat. Fat Cat in a Sergeant's Calming Collar. Okay, his name is really Tigger. 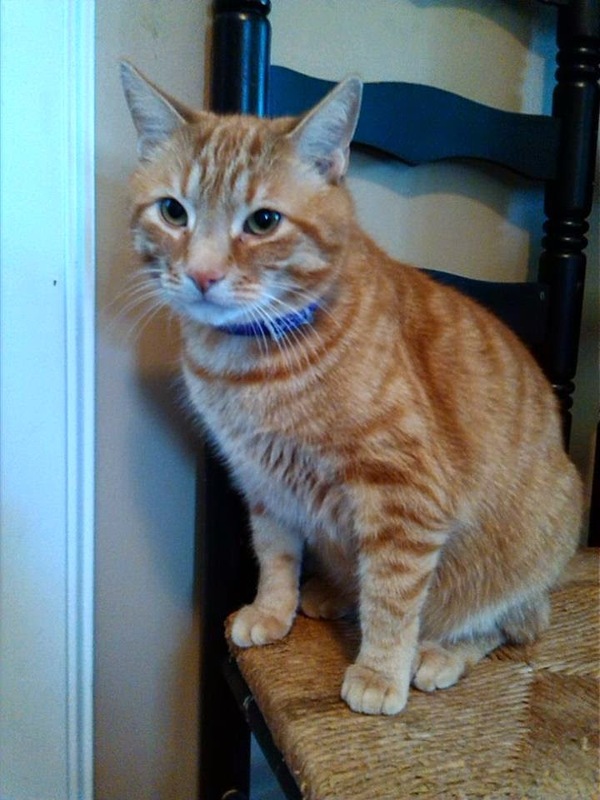 Now, Fat Cat hasn't been himself since the death of our old family cat and then a move to a new house. We thought Fluffy Bunny might help. He is happier, he moves a little more, but he eats a lot more! It is his food after all, how dare Fluffy try to eat any of it. He likes to play with her... occasionally. He just got fatter. No more running up and down stairs, no more interest in eating our pet cockatiel, and who has time to play when there is so much eating and sleeping to get done. He does have time to sneak around, like a little snoop, slowly walking from room to room chinning anything he can find where another cat has laid. He isn't thrilled. He is the head honcho here, even though the other two cats came with the property. He doesn't care, the house is his, and he isn't ashamed to mark his territory. He is incredibly sneaky about it, and can do it right in front of your face. "Oh are you looking at me? Don't mind me, I am just standing here next to your new leather sofa. Let me rub against it, see how cute I am? I'm really cute. Uh-huh, you agree, I see you smiling at me, let me just wave my tail in the air and wag it like I just don't care. Right here. Right against this sofa where the other cats sleep. You didn't see a thing. Just call me Rico Suave. Wait. I smell it. Can you smell it? (She can't smell it.) Man, distraction. All of a sudden, I feel the need to be over there. On the other side of the room, right now. Watch me run. Amazing, huh? I can still run. Yep, I see you all proud of me. Heh, heh, heh!" And then, I have a seat on the sofa. "What the? When did this happen. I'm going to catch you and rub your nose in it, you little jerk!" Of course, Fat Cat is nowhere to be found. See his face up there? Yeah. He HATES his calming collar, it isn't a red badge of courage. That is shame he is wearing. Does it work? Well... I'm not sure yet. Currently, he is moving even less so that helps. He hasn't been sitting guard outside the bedrooms daring the other cats to come out of their sanctuaries. So, the verdict is still out. I'm hoping. I will keep you posted. So far, so good, but he is quite the sneak. I often smell his scent mark where I least expect it. You've seen Fat Cat unhappy in a cat collar, now see him unhappy in a chef hat. Full disclosure and apologies: The calming collar worked so well on Fluffy Bunny, I couldn't bear to use it on the older cats. They are calm. I want to save the other two for the cat with inappropriate marking (isn't all marking inappropriate) and the obviously mentally unstable kitty. Now it is your turn! Tell us about your stressed kitty in the comments or on our Facebook page! I'm loving this article on the Calming Collar, I am! They didn't ask me to say that. Please check it out to see how they are helping wildlife.